Halloween: the night of October 31, the eve of All Saints’ Day, commonly celebrated by children who dress in costume and collect candy and other treats door-to-door. When you hear the word “Halloween,” what goes through your mind? Images of happy children frolicking down the street as their superhero capes flap wildly behind them, parents trying desperately to keep up with their little monster, free candy… What could be better? This is the one night where you get to be someone, or something you are not. Forget your responsibilities, and have fun. Except, for some, Halloween is not that image. Halloween for them is a night where their culture, their family, and their ancestry is thrown in their face as a simple “get-up” or “costume.” And by participating in this “trend,” you are supporting and carrying on years of oppression, racism, and acculturation. ‘Blackface’ is a form of theatrical makeup used by (white) performers (it was popular back in the 19th century) to represent a Black person. It is incredibly racist and offensive, as it heavily stereotypes Black people. When blackface was used, white performers would color their faces with burnt cork, greasepaint or shoe polish, exaggerate their lips, and wear wool wigs and tattered clothing to appear “Black.” Blackface created a racist image, attitude, and perception of black culture… yet is still around today. In fact, last Halloween, Julianne Hough, a famous white actress from Dancing with the Stars sparked controversy when she showed up at a costume party as “Crazy Eyes,” a character from the TV show, Orange is the New Black, who is played by Uzo Aduba, a famous Black actress. Houghs donned blackface and all when the paparazzi were able to photograph her. A gross representation of Native American culture. …Wow. Just, wow. This costume (and many others) represent a false and negative stereotype of Native American people. By putting Native Americans into the “Halloween Costume Ideas” category, it erases everything about them. Especially their history. By displaying them as a costume, we erase what white people did to them; their genocide, the ongoing colonialism of their culture, and years and years of racism. 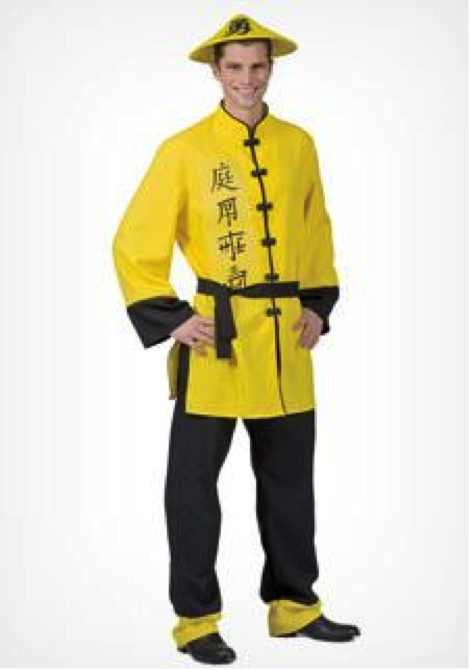 Much like the other costumes, it spreads false ideologies and stereotypes of the culture it stems from, in this case, Asian culture. Let’s start with the characters on the jacket. The first one has been identified as meaning ‘garden’, and the rest? Just some made-up squiggles the makers tried to pass off as ‘authentic’. And contrary to popular belief, this is not how most Asians dress! T-shirts and jeans are common in modernized areas of Asia, and as for the traditional areas, this is a gross representation of what they wear. But hey, let’s just group all Asians into this one costume! Stereotyping, again. 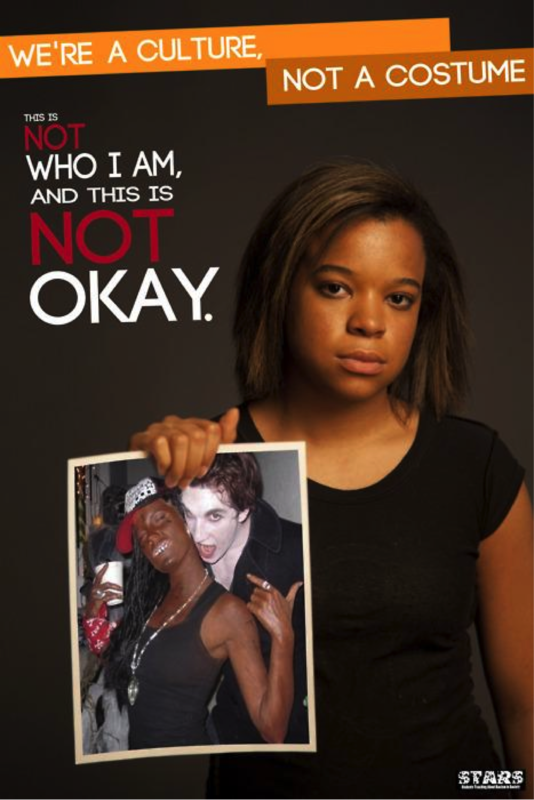 Is your costume racially, ethnically, or culturally based? Do you belong to that group of people? Would you wear that costume around that group of people? If you answered ‘yes’ to number one, but ‘no’ to the rest, then it probably should be put back on the shelf. Halloween is a time for fun and enjoyment, not a time for mockery and shame!